When I read through the brief I was excited about the lack of boundaries we were given on what we could produce, and the imagery we could use. I was worried about only using Illustrator for the app icon as I don’t tend to use the programme, and when I do find it rather annoying to work. Besides not liking Illustrator I found it to be one of the elements in the brief which I found most interesting. This was down to what I was able to find out, and what you can achieve using the programme. Another element of the brief which I enjoyed working on was creating the magazine spread illustration. This was because this felt to be one of the parts which I was able to fully put my creative style into, as the instructional illustration and app icon all had big purposes which played a part in the illustration but for the magazine spread illustration I was able to produce whatever I liked. Through my research, I learnt that to make a successful illustration it needs to work and be suitable for what it is for. In my app illustrations, the ones that stood out and were interesting used colour and texture. In the instructional illustration research, I learnt that the style of illustration changes how the illustration and instructions and perceived. I used what I learnt to influence and guide my own illustrations. In my app icon illustration, I was influenced mainly by my app icon research. My app icon research showed me what a good app illustration looks like, and what a low-quality illustration looks like. I used this to help guide me throughout. The main app illustration which influenced me was The Curry Guy, through its use of textures and bold colours. I also used influences from WHY NOT JAMES, Julie Notarianni, Jing Zhang, and the ifbags.it website to inform me and inspire me on colour, style, composition and line work. For my instructional illustration, I used influences from nearly all of the types of illustrations I researched into. I used my research to influence typography decisions, style, composition, the narrative within the illustration and many other elements. The illustrators I used to influence me are; Natalya Zahn, Liv Wan, Jing Zhang, and Katie Eberts. Other illustrations that influenced me are; the biological illustration from Lang J, the illustrations of fieldandflower.co.uk/ website, and the app illustration Veggie Weekend. In my magazine spread illustration, I wasn’t as influenced by the illustrations I researched into as the two other illustrations, as I felt the magazine spread was an area which I could show off my own style and talent. Even so, I did use influences from my research for colour combinations, styles, and typography. The illustrations and illustrators which helped inform me are; Holly Exley, Natalya Zahn, Julie Notarianni, Isabel Arenas, WHY NOT JAMES, Jing Zhang and Avid Granov. In my app icon the colours used, and texture is the most successful parts. The colour brings attention to the app icon, causing interest, meaning it would work in a real-life environment. The texture gives the app icon something more than a regular app icon, the texture brings the illustration to life and allows me to create depth within the illustration. What wasn’t as successful would be the quality of some of the illustrations, take for example the lime segments. These could have been done at a higher quality and made to look realistic. I am extremely happy with my final outcome and happy that I used Illustrator to create it instead of using photoshop for areas which would have been easier. My app icon fulfils the brief, as it works as an app icon as it states through the imagery what it is about – food. It is interesting to look at, and eye catching which means it would stand out against a range of other app icons. It also fulfils the brief as it evokes the chef’s crazy style of cooking. The use of vibrant colours contrasting with each other and the composition work together to evoke this. To make this illustration fit the brief even more I could have made it suit the app more, as it is Dan Lovell-Brays ready meal line. To have done this I could have put the illustrations of food within a ready meal container. In my instructional illustration, the composition of text and illustration has worked successfully this is because the two parts are balanced, nothing is too heavy one side. This means my illustration is pleasing and easy to look at, and take in – which I believe to be an important part of an instructional illustration, especially one that is designed for a cookbook. What hasn’t been as successful would be the quality of some of the illustrations within the illustration. The finer liner drawings could have been done to a higher standard and made to look more realistic. Overall I am happy with the quality of my final instructional illustration. The use of Photoshop allowed me to create clean, accurate depictions of the ingredients with ease, which meant I could spend time making sure they were of the highest of qualities. The final illustration fulfils the brief as it includes the recipe title, the use of photoshop, illustrator, and traditional methods which were scanned in. My illustration also evokes Dan Lovell-Bray’s crazy style of cooking through the use of crane imagery as this is quite unusual towards a cookbook illustration. My illustration also includes text on how much and what to do with the different ingredients. To improve this illustration to make it fit the brief even more, I would have decided on a different recipe, one that involved more skills and instructions so my illustration could use every aspect of an instructional illustration. In my finished magazine illustration, the composition and colour palette have been the most successful elements. The colour palette is vibrant and bold, making the magazine spread to stand out – this means when someone is flicking through the magazine their eyes would be drawn to this page. The bold and vibrant colours also evoke the crazy style of cooking Dan Lovell-Bray has. The composition is balanced and visually appealing to look at, making it a successful illustration for a magazine spread as someone would be turned away if the illustration wasn’t pleasing to look at. An area which I feel isn’t as successful is the positioning of text, especially with the main body of writing. The whole illustration and magazine spread feels very bottom heavy but also to far down on the page. This would be something I would improve for next time. I am happy with the quality of my overall illustration, as it is artistic and vibrant to look at, the illustrations are also in areas as realistic as I could make them. To improve the illustration I would alter where the text was positioned, and also the digital painting of the face. This area I feel could be improved to be made to look more realistic. My magazine illustration fulfils the brief, due to it having text on both pages making it a double page interview spread, using a combination of digital and traditional processes and mediums, evoking the crazy style of cooking; and using influences from my research. To make my illustration fit the brief even more, I could have thought about including more typography, to do this I would alter the way the illustration was on the double page spread. Throughout this project, I enjoyed using the gradient mesh tool on illustrator, as it was something I learnt how to use for this project. I also enjoyed using the mixer brush tool on photoshop as again, this was another tool I found and learnt for this project. These tools helped me in creating the quality in all of my illustrations, and without them, I feel my illustrations wouldn’t have been as good. From this project, I have learnt new skills using digital programmes, especially in Illustrator but have also learnt to try out all ideas until I find the one I am most happy with. For my magazine illustration, I am creating a digital painting of my dad, who I am using as the chef Dan Lovell-Bray. For the digital painting, I first began drawing the outline for where the skin is, in this outline I also drew details within the skin such as where veins are, so when I begin to do the painting I know where areas need to stand out. I then began using the colour picker tool, to select the colours from within the photo I was using. I would draw above where the colours are. Once I had created the base colours for my painting, I used the filter blur tool to blur the colours together. This resulted in it being easier for me to then work on. After being blurred together I used the mixer tool, within the paint brush options to start blending further and creating details. After I had finished creating the painting I used the outside of the original drawing to remove where the painting had gone outside the guide. This resulted in smooth and clean edges. For the nose area I had to create this on another layer so when mixed together the nose wouldn’t blend on the left side, creating a face with dimension. A failure while producing this work was creating the dimension within the face, as my first try left the nose mixing with the rest of the skin, and therefore disappearing. To overcome this issue I decided to create the nose illustration on a different layer and pick colours from the painting to make the nose feel attached to the right side. This resulted in creating a realistic illustration. I decided to use a digital painting process as I want to create a realistic illustration, if I were to use arcylic paint to create the illustration it would be more time consuming and the colours, and blending wouldn’t be as smooth and as real as I wouldn’t be able to pick up the colour from the photograph. The quality of this illustration at this point is good. It needs improving in realism, but this will be created once more elements are added such as hair and clothing. To create the clothing within the illustration I decided to go for a flat, pop art style drawing. To do this I began drawing there the t-shirt is with a blue paintbrush. I used a bright blue colour as visually once my illustration is finished it will look exciting within the piece, but the blue also allowed me to see where I had already drawn. After making sure I had created the correct shape for the top. I then decided that I wanted to add texture to the top as a flat top looked odd against the detailed painting. I created the texture by using the paint brush tool and drawing were the highlights, and shadows are. I used the mixer tool to abstract the lines and make them more energetic. I changed the colour of the top to a darker blue and put the textured top on a layer style so once overlayed created a vibrant textured purple top. I carried on with this process with the apron and its drawstring but decided to keep this as a flat illustration. Creating the texture of the tshirt is working successfully while producing this illustration, this is down to the style and type of paint bursh used. The colours also are working successfully as they are creating, this light, airy but bold top which is helping me create emotions of crazy cooking. Creating the correct shapes within the texture has been a struggle during the production of this piece as I was finding it hard to place the shadows and highlights, but I managed to overcome this by adjusting areas which didn’t work – either by transforming them, or repainting them. Looking at Avid Granov’s Iron Man Concept Art illustration influenced my work, as they have created texture, light and shadows within their illustration by using various photoshop functions. They also used digital painting which allowed them to constantly re-adjust and imporove their illustration. I could use Avid Cranov’s illustration to influence my work even more, by looking at how I could use a background to enhance the illustration. I began adding more details within my illustration by creating the hair. To do this I started off with a bright pink colour – this so I could see where I was drawing. I used a round circle brush with the pressure brush presets on, so the opacity would change depending on my pressure and so would the size, allowing me to create realistic hair. After using various brush sizes to create the layers and thickness of the hair, I used the hue and saturation to change the hair to different shades of browns and blacks. I also began creating the eyelid details. To do this I drew a faint black line which I then blended into the face, this to make it look natural. I then created eyelashes by drawing small think black lines off the eyelid. Creating the eyelids and eyelashes were a failure within the production of the work as they weren’t looking realistic, and were too prominent within the illustration. To fix this issue I decided to not use as thick, dark and long lines – making the eyelashes subtle within the illustration. Creating the hair was a success within this illustration as I managed to make it appear natural and full, to do this I duplicated the layer and had them all slightly different colours, this meaning in areas the lightest browns were able to come through the dark brown. The quality of this illustration is of a good standard, and would be something I would expect to see as a perfessional illustration. Areas which could be improved more would be to add more texture to the skin, such as moles, and where veins are, I would also add the slight hairs to where the arms are. This would result in me creating an extremely high quality illustration but due to the size of the illustration and where this illustration would be sat on the spread the hairs and smaller details wouldn’t be seen. To produce this illustration I began by drawing the outline of the pan so I could create the flat shapes I need to work on to. After creating the outline I filled in the shapes with bold colours of blue and purple. I did this as I want the pan to look different, crazy, not something you would expect to see. I then began the shading for the inside of the pan, this is to make it look realistic. To do this I used a large soft brush and used dark blues and vibrant blues which contrasted from the sky blue used for the flat colour. I used the mixer brush tool to mix the colours together. After being happy with how the colours were mixed together I erased where the colour wasn’t needed using the selection tool on the pan drawing layer and removing it on the shading layer. Creating the shadows and textures within the pan has worked successfully while producing this illustration. The curve around the inside of the pan creating dimension within them. What wasn’t as successful while producing this illustration is the colours. They don’t compliment the rest of the illustration. I will use the hue and saturation tool to adjust the colours to make them work within the illustration. I originally had decided that I was going to have the human illustration appear to be rasing their arm, and each time the arm moved the utensil would change. I decided to not do this as practically would take too much time to create various arm paintings, but also creatively would become extremely messy. Looking at the work of Jing Zhang has influenced this work, as they used bold colours to compliment and contrast from different elements. They also have created extremely realistic illustrations which I have been aiming to do throughout the whole of this project. I decided I didn’t like how the blue worked with the illustration so used hue and saturation to make the pan oranges and corals. Doing this has worked successfully as it compliments the drawstring in the apron. I then drew with a yellowish orange spirals coming from the pan. These lines will be suggesting the direction of the ingredients which will appear to be flying from the pan. I am using oranges to compliment the purples within the illustration. I am also using orange due to the emotions or excitement and energy conveyed. This is allowing the illustration to evoke craziness. I used my research into WHY NOT JAMES’ illustration for inspiration with the bold colours. In their illustration they used a flat red with bold colours on top to create a striking illustration. Currently my illustration is slowly meeting the brief. The use of colours and the line work are evoking the chefs crazy style of cooking, but the lack of text means it isn’t a double page interview spread at the moment. I need to do more work to my illustration for it to meet the breif. I created my avocado illustration in a similar style to how I made the digital painting, but to create the skin of the avocado I used a stroke effect to the illustration this giving the whole shape a 4pt green stroke. I then began adding all my ingredient illustrations into the work, transforming them horozontally or vertically, and in size. After doing this I placed them onto the line work. The positioning of the ingredients and the angles which they are placed are working well to create a balanced, and visually appealing illustration. I created watercolour and ink illustrations of chillis and aubergines. These I scanned in and did the same as my digital illustrations and placed them along the line work. After doing this in the background I decided to create a faint pattern of the ingredients. To do this I gathered the illustrations together, merged them as one, duplicated them and reflected this layer. Doing this created a repeating pattern. I then chaged the fill to 40% and started erasing areas which didn’t compliment the shape within the foreground. The use of different textures and colours from the background v the foreground is working successfully in creating a dramatic illustration. They use of watercolour and ink is also working successfully in giving the illustration different textures, as just digital illustration can lead to smooth and flat textures, which isn’t exciting. Composition wise I have found it chanelleging to decided where the background elements should go, as I don’t want to distract from the main illustration. I had begun with the pattern of food covering the whole spread, but decided this was too much, and too distracting. I then decided to minamize the pattern and remove some of the illustrations so it would compliment the line movement within the main illustration. This worked successfully within the illustration and was a good improvement. I decided that the background needed texture as when looking at the illustration without a background it appeared flat, but also boring – not conveying the crazy style of cooking. This was a good creative decision I made, and has excelled my illustration. I am using bold, vibrant and contrasting colours to create an exciting illustration. Using bold colours gives your eyes many areas to look at. The use of mixed media was influenced from the work of Julie Notarianni and Holly Exley. They both use watercolour and ink within their illustrations, for a stylish affect. In Notarianni’s illustration chillis have been created using vibrant inks which I thought worked extremely well in drawing attention on the page – so within my illustrations I decided to use bright pink ink to bring it to life. Within Holly Exley’s illustration she uses watercolour to create illustrations that depict the tones and textures within the food. This is what I aimed to do within my illustrations. I also used influences from Isabel Arenas magazine illustration. She has used layer effects to overlay drawings and colours to create a dramatic illustration. I decided to use this effect within the background of my illustration. I also did this within the top details. The quality of my illustration is extrmely high. This is down to the effort, and thought put into the colours used and the style of illustration. I downloaded handwritten typefaces from dafont to use within my illustration. I wanted to use a handwritten style typeface as this would make the illustration feel more personal, less informal, and be suitable for an interview magazine spread. After finding the typeface I was going to use for the title, I wrote Dan Lovell-Bray in a grey colour. I used grey as I haven’t used black within my illustration and feel using black for the typography would stand out too much. I then copied the type and changed it to a yellow colour. This I positioned behind the grey text and moved slight down and to the left. Doing this created a shadow style to the text. I then changed it’s opacity to 50% so it wasn’t as bold. I decided to use Times New Roman as the second typeface so it would contrast from the hand written style title. I positioned the text Interview with: just above Dan, with the middle of the text being aligned to the D.
Deciding on the composition and the placement of text was a failure while producing the work, as I wanted the illustration to appear more creative, out of the ordinary and protray the life style and cooking style of the chef, over having a traditional magazine spread layout. I decided having the type fit in between the negative space of the illustration would work successfully, as it would feel as one, and not two elements placed together. Looking at the work of Natalya Zahn influenced my choice in using different typefaces, as within her illustration she used an array of different type faces, and styles to create an interesting composition between illustration and text. This is why I decided to use a handwritten style, decorative type face for the title, with the clean and neat Times New Roman for the rest of the writing within the illustration. Currently this illustration isn’t fully meeting the breif as it needs more writing to become a double page interview spread. To make my illustration suitable as a double page spread interview illustration, therefore fulfilling the brief I put text at the bottom of post sides of the illustration. I made sure there was a bored between the text and the illustrations so it was clear and easy to read. I used my research into Holly Exley’s illustration for Acquired Taste Magazine to influence where the text will be placed. Having the text at the bottom of the magazine spread means that your eyes move down the page, allowing you to take in the illustration, and then read. This illustration fulfills the brief with it being a double page interview spread, a magazine illustration, using various mediums and evoking the crezy style of cooking Dan Lovell-Bray has. For this brief I have decided that my instructional illustration will be a guide in how to create a vegetarian Mexican side dish, for this, I will be showing how to make a black bean salsa. I have decided to go for this as I am a vegetarian, and this is the sort of food I tend to eat so I know how they look and work together. I have also chosen a Mexican recipe as this tends to be seen as crazy due to the hotness in the food, the way it’s prepared (rather messy), and how Mexican food and that culture is perceived. Above are photographs of ingredients for my recipe which I wasn’t able to photograph myself. I will be drawing from these photographs as a reference of what certain vegetables and ingredients look like. I have begun my illustration by deciding a composition of how the ingredients will work together. I used the photographs which I am going to draw from to create the composition layout. I want to have the ingredients up in the air with chopped and sliced segments of them falling into the bowl. I am going to use photoshop primarily to create this illustration, but will also combine illustrator shapes and fine liner drawings. I began creating my corn on the cob illustration by drawing a flat shape of the inside of the corn. I did this so I could build up highlights and shadows. I then created the highlights of each corn by using the paint brush tool, I used a circle brush as I wanted clean and crisp lines. I then used the filter gallery, field blur tool to soften the highlights. With the colour picker tool, I picked up the darkest colour within the photograph so I could draw each segment within the corn. I used the same process as before by blurring out the lines to create the shadows, but I kept the original drawing layer so I could have strong line work within the illustration. After doing this on a new layer I created a gradient of highlights to shadows which I applied an overlay layer effect to enhance the shadows and highlights within my illustration. I am producing this illustration using photoshop and a painting/drawing style as I want to create highlight detailed but also realistic illustrations. While creating this illustration I have experienced successes in being able to create effective shadowing and highlights, making my illustration look three dimensional. The only failures I am coming against are just deciding what the correct colours are for the illustration, this I am overcoming by constantly changing the colours slightly until I find a combination that works. I decided that starting with a base colour would be the most practical decision to make as it is allowing me to build up colours rather than have to create the three different tones as I go. It has given me my middle tone. The quality of my illustration at the moment is good, this is down to the realism conveyed through my style. To improve the quality of my illustration throughout the instructional illustration I will continue to improve my digital painting skill to create hyper-realistic illustrations. To make the leaves of the corn, I created a block green shape and began using a stippling paint brush to draw groups of threaded lines. This gives the illustration a texture, making it come across more realistic. On the block shape, I gave it a stroke so I could make it look as if it is wrapping over the corn. I decided to use a stippling brush as it would create a hair like texture within the skin of the corn, this has helped me create an illustration that is realistic. Looking at the app illustration ‘Veggie Weekend – Healthy Vegan Vegetarian Recipes Filibaba AB’ has influenced this illustration as I aimed to create an illustration which was as realistic to the object, which is what they did within their illustration. On illustrator, I began creating my bowl illustration. I used the oval shape tool, with no fill so I would only get the outline. I then used the anchor point tool to add anchor points to the outline, and then with the white arrow tool to manipulate the lines to fit across the bowl. After creating the bowl shape, I took the illustration to photoshop and began adding shading in the bowl and onto the outside. I used layer styles like overlay, and multiply to create darker tones and to make the bowl look more glass-like. Creating the curves within the glass bowl worked successfully, especially with the shading and highlights as this has allowed me to create a visually pleasing illustration. What hasn’t been as successful is conveying that the bowl is glass. To overcome this I will continue to add shading to the bowl and highlights until I think a glass effect has been created. The illustrations on fieldandflower.co.uk/ website have influenced this illustration, as they are simple and easily understood. I wanted the glass bowl to compliment the other colourful illustrations which will be in this illustration. I could use the blue light effect within Avid Granov – Iron Man Concept Art illustration to further influence my illustration. Putting stronger contrasts with shadows and lights could work successfully within my illustration. I decided that instead of having the illustrations of the ingredients floating around the page, I would have them hanging off cranes. This to make the illustration more interesting but also to evoke the idea of crazy cooking. This was a practical and creative decision which I feel has benefitted my illustration and improved the quality. I made the cranes by drawing them with fine-liner and scanning them in. I had to make the length of the crane longer, so to do this I copied a section and reflected it vertically. This allowed me to create a repeating pattern, to make the crane taller. I have also begun creating circles of various sizes to fall from the ingredients, into the bowl. I created highlights on each of the circles by using the paint brush tool and then blurring them out. I gave them highlights to make them appear dimensional. I am using a digital painting style with fine liner drawing style, as visually they balance each other as the texture and dimension within the digital paintings allow the flat fine liner drawings to fill out some of the negative space, but create depth within the background. Looking at Jing Zhang’s illustration Recipe (5 classic dishes) illustration has influenced my decision to give this illustration a ‘human’ atmosphere. Doing this has given my illustration other meanings, and pushed it further than any normal instructional illustration. Currently, this illustration is beginning to fulfil the brief. This is down to it beginning to represent something similar to an instructional illustration. It is also beginning to evoke the crazy style of cooking the chef has, as the use of cranes, and the humanised building site atmosphere is odd, different to a typical instructional illustration. I noticed that the corn segments didn’t appear to be falling into the bowl. I fixed this issue by adding an overlay of the bowl front on the top layer of my illustration. This darkened the corn that was inside the bowl, creating depth within my illustration. Photoshop allows me to do this easily without ruining any other elements. This wouldn’t be possible using another process such as painting or drawing. I created my lime illustration in a similar process to the one of the corn. I made a lime green shape of two segments of lime. This I then drew the whites of the lime to create the shapes inside the limes. On layers underneath the lime whites, I used expressive line work to create the various tones and textures within the lime. I used the paint brush tool and different green shades to do this. On the skin of the lime I used the paint brush tool and drew from dark to light, to create dimension within the lime. I then used the noise filter and crystallised this layer. Doing this allowed me to create a speckled effect to the skin of the lime which made it look more realistic. Creating the texture within the lime segments has worked extremely successfully, due to the layer styles applied to create mass amounts of texture. The texture was created with the line work and colours from the layers used overlayed each other meaning the lines turn into small chunks. I used an expressive erratic drawing style to create this illustration as I wanted to evoke the crazy style of cooking the chef has and using an art style which is known for its expressionism and craziness worked successfully. Looking at the biological illustration of Lang J inspired my line work within the lime illustration, and the idea to create texture as within their illustration they used the medium to create texture and depth within the illustration. I could use the hyper-realistic style from Veggie Weekend – Healthy Vegan Vegetarian Recipes Filibaba AB app illustration to add more texture and details within my illustrations. The quality of my illustration at this point is high, with the illustrations looking realistic and the quality of my line work being good. To continue to improve the quality I will strive to carry on creating realistic illustrations by using blur filters, the mixer tool and the gradient mesh tool in illustrator. This illustration on its own currently meets the aspect of the brief where the illustration has to represent the chef’s crazy style of cooking. To create my tomato illustration I first began by posterizing the image I am drawing from so I could use the colour picker tool to collect the main colours within the tomato. I used the paintbrush tool and began drawing in where the colours are on a new layer and made sure my line work moved in the way of the shape. I then used the iris blur tool to create a controlled circular blur of the colours. Once the colours were fully blurred together, and I felt that they were representing a realistic tomato, I cleaned up the edges to create a clean and crisp outline. Using the posterize tool on the photograph has allowed me to create a realistic illustration of a tomato as I was able to pick the brightest of colours to work from, whereas if the image wasn’t posterised I would end up picking the duller shades of orange. The choice of colours within this illustration has worked successfully. Looking at the illustration by Jing Zhang has informed this illustration as they have created hyper-realistic, but slightly stylised illustrations of food. Throughout this whole project, I am aiming to do this within my illustrations, but especially within my illustrations of tomatoes. To create the vine in which the tomato illustrations will be hung on I drew the block shape of the vine. On a new layer, I began using a softer paintbrush to draw in the darker points and tonnes within the vine branch. I kept doing this with various shades of green until I created a thick texturally layer. On this layer, I used the crystallised noise filter and created a slightly speckled design where the colours blended together. I used this layer effect as I wanted to create a vine branch that felt as if it was moving, pushing nutrients into the tomatoes. Creating the texture within the tomato vine has worked extremely successfully within the production of the work. Using the filter gallery tools has allowed me to create interesting, geometric textures which otherwise would not be possible. Creating the unusual texture within the illustration is also allowing me to make the overall illustration more interesting, different, and can be classed as a small element which is making it reflect the chefs crazy style of cooking. I would say that the quality of my illustration at this point is of a good, high-quality standard, and something I would expect to see in a cookbook digital illustration. What makes the illustration high-quality is the use of tools and time spent in creating the illustrations, and the thought put into why they are being produced in the way that they are. The quality could always be improved, by cleaner edges, smoother blends, and more dimension added. To create the vine of tomatoes I created various more digital paintings of tomatoes in different hues and tones of orange, I moved these around to fit within the vine branch. Once I had finalised the layout of the tomatoes I then began to draw the tomato leaves. This I did in the same process as the vine branch but instead of having a slight crystallisation, I made it so the leaves were highly textural. Doing this has meant that the illustration is a lot more exciting and interesting, and allowing me to evoke this sense of craziness. I continued this style of creating texture within the rest of the tomato illustration. For the tomato vine which wraps itself around the crane, I erased where I wanted the vine to appear to be curving around the crane. I also added layer effects to the texturized layer to enhance the highlights. Creating depth and dimension within my work is working successfully within my illustration. This is down to myself understanding and practising where shadows and highlights should be. What isn’t working as successfully is creating realistic illustrations where I don’t have a source photo to draw from, for example, the vine branch wrapping around the crane. To improve on this issue I will either change how this is composed to make it feel more natural. At this point my illustration is starting to fully meet the brief, with it being an instructional illustration, evoking the crazy style of cooking and being of high-quality. To improve on this I just need to carry on adding more elements to my illustration. To create my chilli illustration I first began by posterizing the image I am drawing from so I could use the colour picker tool to collect the main colours within the chilli. I used the paintbrush tool and began drawing in where the colours are on a new layer and made sure my line work moved in the way of the shape. I then used the field blur tool to blur the colours together so I could create a perfectly blended shape. Once the colours were fully blurred together, and I felt that they were representing a realistic chilli, I cleaned up the edges to create a clean and crisp outline. I then drew the stalks of the chillis through a combination of drawing layers of shadows and highlights, using the filter, noise, crystallisation tool and then using layer effects to create textures. I duplicated the chilli and changed the hue and saturation so I could create various different coloured chillis, I also reflected them making them face in different directions. Creating realistic illustrations of food is working successfully, with my chilli illustration looking like the perfect chilli. This is down to the effort and practice put in, and understanding how to use photoshop and using its functions and tools to help me. A creative decision that I have decided to make is that I am not going to have illustrations of food falling into the glass bowl. I’ve made this decision as it will make my illustration look cluttered and messy. Also in my research, a lot of my illustrations use negative space to enhance the illustration, and with an illustration of mine negative space inside is needed to balance the whole illustration. Looking at the work of Jing Zhang has influenced this illustration through their use of extremely realistic, high-quality illustrations of food. I will carry on using influences from their work in creating high-quality illustrations. Having the chilli’s in a bunch, and appearing to be swaying from side to side is making this illustration evoke the crazy style of cooking, as movement and an energetic atmosphere is being created. I decided that I didn’t like the way that the vine wrapped around the crane, and sat at the bottom of the illustration so I decided to remove that part and use the wrap tool to continue the vine going off the canvas. This decision has enhanced the quality of this illustration, as it now feels more realistic and believable. Creatively this decision has also improved the composition within the work and made the work more visually appealing. To create the black beans illustration I decided to use fine-liner and scan in the drawing. After creating the illustration traditionally, I scanned it into photoshop where I used the stroke style to find any areas of marks which needed to be removed. Using the stroke tool and picking a bright colour allows you to find natural marks within the illustration which you may not be able to notice. I then began thinking about how I can make the illustration more interesting. I decided to add a gradient which went from an orange brown to a light cream colour. I decided to use these colours as I wanted them to work with the product. I then used the crystallisation filter to give a texture to the gradient. I have also drawn a ladder out of fine-liner as I want to carry on giving my illustration a different perspective and making it come across as an active building site. I used the transform, perspective tool to make the ladder look as if it was leaning against the can of beans. A creative decision I’ve made is that I am going to remove the ladder from the illustration as it doesn’t fit within the whole illustration, due to its lack of an intention. Within this part of my illustration, I used influences from Katie Eberts’ illustration for Lauren Stein Fresh Made Simple. The use fine-liner drawings, with watercolour and digital enhancements, meant her illustration felt personal, which is something I wanted to express. I decided to create a fine-liner drawing and then create a watercolour effect within photoshop using the crystallised tool. To add to the main elements of my illustration I have decided to create droplets of liquids which sit on the floor of the illustration. To do this I used the paint brush tool on a clean circle brush to create an oval shape. After doing this I used the eraser tool, on a soft large brush to remove the harsh edge from the top of the droplet. Doing this gives the drawing dimension as it now looks as if it’s curved. I then used the paintbrush tool again, with a soft large brush, and created shadows and highlights within the droplet. I put this layer on a multiply style so that they would blend into the shape of the droplet. I then merged the layers together and changed the hue and saturation to make the droplets a lime green colour, to appear as if they were the juice of the limes. The use of layer styles is working successfully while producing the work. Understanding and seeing how they apply to the underneath layer is important to its success as it is allowing me to find ways to create a realistic illustration of liquid. To create the instructional part within my illustration I used illustrator to create vectorized construction signs. I took the standard layout concept from building safety signs and used the style to influence how my signs will look. I first began by using the curved angled rectangle shape tool to create a rectangle with a white fill, and a black 4pt stroke. I then used the same tool, but this time with a red fill, and clear stroke to create a red banner across the top of the rectangle. I created another rectangle with the non-curved angled rectangle tool with a white fill, and stroke so I could give the bottom of the red rectangle a flat edge. I then began using a similar process with two other different styles of signs, one made from a light blue with a circle in the top, and another made from bright yellow with a yellow and black triangle on the top. After creating and group each of the different signs, I began on making the icons which will sit in the blue circles and the yellow triangles. To do this I saved my food illustrations as PNGs. I did this as I wanted them to have a transparent background. I took the PNG files into illustrator and used the image trace tool to vectorize them. As I wanted them to appear as logos rather than detailed illustrations I used the silhouette option to create a block shape of my illustrations. I put each of the now vectorized illustrations and put a lighten layer style onto them. I did this so when on top of the blue they would become white and would join into the signs. For the typography, I used a sans serif ariel typeface, at font size 11 so the instructions can be easy to read, and clear. During the production of the signs keeping all the elements together on the sign was a failure, when I would go to duplicate the sign sometimes some elements were copied, or when I moved a sign some parts would stay in the original place. To overcome this failure I used the group tool, to group the shapes together. This made working with illustrator a lot easier. The visuals within the signs have worked successfully in the production of this piece. Choosing the correct image trace setting, and layer style was important to this success, as some image trace settings only included certain areas. Looking at Liv Wan’s Illustrated cookbook influenced my choice in typography. They use a sans serif typeface as this is easy to read, and doesn’t push any connotations of who the recipe is designed for. I also used influences from Jing Zhang illustrations as they use icons within circle shapes within the instructional elements. I thought this was rather interesting and balanced out the illustration. I could use influences from WHY NOT JAMES Death of A Scenester Magazine Illustration where I could connect the text elements to the illustrations with lines, similar to what they have done. The quality of these illustrations is of a good standard, as they are clean and neat. Having this part of my illustration rather simple will balance out the craziness of the rest of my illustration. My first composition idea, to present the instructions was to have them sitting on a fence. For this, to work and for the type to be readable I would need the fence covering a lot of the canvas. This I decided wasn’t the best composition for my instructional illustration as it hides a lot of the illustrative work, looks messy, and doesn’t flow nicely within the illustration. I removed the fence illustration from my work and began moving the separate signs to their corresponding illustration, this has worked better and has created a visually interesting illustration. Figuring out the final composition was a failure within the production of the work, as I had to find the right balance between illustration, text and negative space to create a visually appealing illustration. I overcome this by looking at the illustration from different perspectives and trying out various different composition types until I came to my final idea. I gathered other student’s thoughts on the composition throughout so I could make sure that it made sense to someone other than myself. The quality of my illustration is of a high standard and would be something I would expect to see in an experimental cookbook. My illustration is of this quality due to the applications used to create the illustrations, but also my time and effort spent into creating the elements within the illustration. If I were to recreate this illustration or had a longer period of time creating the illustration the quality would be even greater, this due to my skill and experience using the applications, and the practice of the illustrations within this. I would know what works, how to create a high-quality illustration in less time (this to become efficient) and know what areas I would need to focus on more. This illustration fulfils the brief as it works as an instructional illustration, as it tells you how much of the ingredients it needs, what to do to them, and how to construct them together. Unlike other cookbook illustrations mine doesn’t go by steps, this doesn’t mean my illustration doesn’t fulfil the brief, just the recipe doesn’t involve a strategic order to be made. My illustration also evokes the crazy, and experimental cooking style of Dan Lovell-Bray through the use of imagery; cranes, construction site ideas, composition; having the foods swinging from side to side, and the colours; they’re vibrant and bold, and make the illustration stand out. To make the illustration fulfil the brief even further I could think about including splatters of colour which relate to the food – this would make the illustration evoke crazier emotions but it would draw away from the quality and the fact it is an instructional cookbook illustration. To finish my illustration I looked at various handwritten style typefaces, this was to make the illustration feel suitable for a cookbook as they tend to be seen as a personal instruction from one person to another. I decided to go for the last typeface as the boldness of the typography sat well within the illustration, not only that it felt more natural and free, and as if someone had just quickly written out what the recipe is. In Natalya Zahn’s Assorted food and recipe illustration they use hand written typography. This makes the cookbook illustration feel personal, like someone has given it to someone. I wanted to replicate the same ideas so decided to use a handwritten style typeface. This has worked well in finalising my illustration. In this project I will have to display a knowledge and skills in various digital techniques, one of those will be illustrator for the App Icon. I decided to watch a YouTube tutorial on how to shade using the mesh tool as this is an area I need to know and be able to do to create a high-quality app icon. This is my experiment in using the mesh tool and shading a sphere. To use the mesh tool you have to create a filled shape of any colour. I then had to use the black arrow selection tool to click on the object and then in pressing U on the keypad and selecting okay for a 4×4 guide. This curves to the shape of the object and allows you to click on intersection points and create a gradient shade or hue on the flat vector. I played around with creating highlights and shadows to make the sphere feel round. In my research into app icons, I noticed that the higher quality looking app icons used shading and highlights within the imagery, this gave the impression that the company have spent more time, effort and money into making the app which would then lead to consumers feeling it be a more worthwhile download. The use of shading also makes imagery stand out as it becomes more three dimensional over a flat symbol. While creating this experimental study I found that getting to terms with illustrator and its functions are rather different to photoshop and take time adjusting from the two programmes. As well as finding the general controls difficult to use I found using the mesh tool and creating shading rather annoying as elements weren’t going the way I wanted them to go; take for example in the second screenshot – in the shading it appears rather bumpy than a smooth gradually fade, this I felt to be a failure within the experiment. I am currently still experimenting with the mesh tool to overcome this failure so when it comes to my illustration for the app icon I won’t have to figure out and potentially waste time figuring out how to create the perfect shade. I then watched another YouTube tutorial on how to shade more complex objects which have multiple areas of shading. This is important to what I am creating as I will need to know how to create realistic looking fruit, and vegetables within this brief and within the app icon. I first began by creating the outlines of my photography of a french cooking pan by using the oval shape tool. I started off with an oval which I then added anchor points to so I could change the path shape to fit in with where the pan bends. I decided that I needed to cut the shape in half using the scissor tool so I could create a perfectly symmetrical outline. I decided to use the oval shape tool as I felt that when it comes to colour and adding highlights and shades having the object as one shape will be easier to work with rather than having various objects of colours together from the pen tool. I am producing the illustration for the app icon on illustrator as it will allow me to create a high-quality app icon which could be used in the real world, as illustrator works in vectors which mean when enlarged imagery and line work won’t become pixelated. Currently creating a symmetrical image is working successfully, this is due to me cutting the shapes in half and using the transform mirror tool to flip it vertically. Doing this will allow my illustration to look a lot more professional. At this stage, I don’t feel as I am experiencing any failures, though one area which I am finding it annoying is that I have to do a lot of steps to create a perfectly symmetrical image, which is rather time-consuming. I’ve decided to overcome this issue I will change the image I am working from as I feel that in the process of this app icon, that it will hold me back and my quality of illustration won’t be as successful as it could be with a different image. I think that this has been an important practical, and creative decision and will lead me to have a higher-quality illustration. So far I have been using my research into app icons BBQ Recipes – FutureBrains and Vegetarian Recipes Riafy Technologies for line work style, and composition. For the illustration, I was basing the subject matter and the composition style from BBQ Recipes as I felt that the use of an open fire bbq worked well for the first impression. My research into Vegetarian Recipes was influencing how I was going to use line work within my app icon. I decided that from all my app icon research that these two together wouldn’t influence me enough to create the best quality app icon I could deliver as both of their app icons are rather simplistic. I am going to aim to be more influenced by the use of texture within The Curry Guy – Indian Recipes Resort Marketing’s app icon and detail within Veggie Weekend – Healthy Vegan Vegetarian Recipes Filibaba AB app icon. These two app icons will guide me and give me ideas on how to composite my own app icon. At this moment in time, this current illustration doesn’t fulfil the brief due to it not being a full illustration. As well as this it also doesn’t look and feel crazy enough, which is an aspect I need to make sure I fulfil to create a high-quality, successful app icon illustration. I produced this illustration by using the circle shape tool on illustrator. I create an orange sphere to be the base of my illustration which I then began to shade and highlight using the gradient mesh tool. Using this tool I was able to add various shades of oranges and reds to one side of the sphere to create dimension. I used the mesh and anchor points to place the different colours and used the additional mesh and anchor points which were based on the mesh and anchor lines to change the direction and gradient of the colours. I am using illustrator to create this illustration as it is the most suitable software to create a realistic, three-dimensional vector image which can be used and applied to my app icon. The use of the gradient mesh tool was to be able to create dimension within my illustration. This tool isn’t available within Photoshop, so using illustrator means the process of shading and highlighting is easier. I think that so far my understanding of how shadows work to create dimension is working successful, and knowing where something feels out of place and incorrect in terms of shadow is also successful. At the moment I don’t feel that I have experienced any failures within this current illustration, as I am only putting to practice what I have taught myself, and experimented with. I feel that my practical and creative decision to change the angle of my subject matter was a good choice, as I feel more confident that I can produce a high-quality illustration which will meet the brief. I am using the colour orange for my pan as this colour not only is iconic with cooking utensils but also evokes emotions of excitement which can be affiliated with ‘craziness’ which is what I need to convey within all of my illustrations. I am also using the terracotta orange as I visually like working with this colour and feel it will be a good colour to incorporate throughout this brief to create a brand identity. My research into The Curry Guy – Indian Recipes Resort Marketing’s app icon has influenced the use of creating dimension within simple shapes, take for example the two black circles which have been carefully positioned together to create this effect that the pan lid is curving out and down, through the use of highlights. I am taking this and using it in effect the opposite where I want to create the effect that the pan lid is curving around the sides and not in the middle. I will take into consideration how he has used a central composition within the pan illustration, and added layers of shapes above one another to create dimension. My research into WHY NOT JAMES’ Death of A Scenester Magazine Illustration has influenced my use of bold colour, as I feel this was a successful element within his digital magazine illustration. The use of bold colour makes imagery and objects stand out – which is exactly what you want to make an app icon look like as it will be placed against hundreds and thousands of other apps which are rather similar, so a bold but interesting colour palette is essential. In Natalya Zahn’s Assorted food and recipe illustrations for online and print publishing, she has used texture to create added interest within her illustrations, the use of texture also conveys a sense of an atmosphere which I aim to do within my app icon illustration. I want to take this influence into my own illustration as I don’t want my app icon to feel manufactured which I’ve noticed in my research that a lack of texture and interest can have this effective. At this point I think that the quality of my illustration is rather good, it can be improved though. I think the quality is good due to the processes and software I am using, as illustrator is allowing me to create precise gradients, this though could be where I am lacking quality due to it being rather mathematical over what I would perceive as common sense, as the gradients are rather bumpy as they are going through each of the mesh points and lines. To improve this quality I would need to add a larger gradient mesh tool which has a lot more lines going through, this way giving me more control and accuracy in where I want my gradients to sit. I produced this illustration on illustrator. I used the colour picker tool to collect the highlight colour within my photograph, this I then made the stroke and fill with my circle, created using the oval shape tool. I did this so I could create the bumps within the pan lid. I positioned the light orange shade in the centre of the original circle, I began repeating this process using command-c and command-v on the Mac keypad, every-time I began decreasing the size by at the most 20%. I then made a black a circle which fit in the centre of the shape to represent the handle of the lid. Within the second to middle light orange circle, I added anchor points on the curve so I could use the white arrow tool to pull that section away, this allowed me to create interest within the design as I have only done this to one area. When they next orange sphere was added on top it meant that the end of the circle outline was smooth. I am using illustrator and the shape tools, with the addition of using the anchor points as I want to create an illustration made out of vectors and illustrator allows me to do this, using the shape tool meant I could create perfectly symmetrical and even images. Currently, I am finding the use of anchor points and the pen tool rather tricky to use as in cases it is not moving the points and lines in a way that I want it to do. I am overcoming this issue by just practising and watching tutorials on how other people use the tool, I am finding this to be helpful and is improving my skills within illustrator. At this point, I feel that my illustration is of a good quality, as the highlights and the shadows work well in the shape, and create a stylised illustration that feels believable. The quality could still be improved by adding more details into the pan. To create the added details within the pan illustration I repeated the overlay process of small circle shapes in different shades within the pan lid. On the sides of the pan I used the oval shape tool, with a non-fill shade, and made the stroke 6 to give me a thick outline, I create one oval shape, which I then cut using the scissors tool. Using this tool it allowed me to cut the oval outline into equal parts. I used the transform reflect tool to have the panhandles facing the correct way onto the pan lid. I have also added a dark orange ring around the bottom of the pan, this is to help enhance the dimensions created with the shadows. The use of the gradient mesh tool is working successfully in allowing me to create an illustration that has depth and dimension. Also, my use of the shape tool in creating a symmetrical and balanced illustration is working successfully. Practically I have decided that using the circle based pan imagery was an important decision as it has worked well with the tools illustrator provides and will allow me to create a visually interesting and high-quality app icon. Currently, this illustration doesn’t fulfil the brief due to it not coming across as crazy, this will be improved with the addition of a background, and more illustrations being added around the pan. To create the wooden chopping board which will make the background of my app icon illustration I have used my own high-quality photography of wood, which I took into illustrator and used the image trace tool and the 16 colours preset which turned it into a vector image. I then also used the rectangle shape tool, to create a brown square which I overlayed onto the image traced wood. I put the colour overlay onto a multiply layer effect. This meant the shapes and tones within the image traced wood would come through the colour. I used the image trace tool to vectorize the wood photograph as in app icon illustrations they work with vectors as these can be used as any size and not become pixelated. Throughout this project, I will use illustrator to create vector images and shapes. Image tracing the wood photograph has been successful, because not only does it suit the illustration and its function but also adds interest, and more visually appealing elements, as texture, has been created. I decided to use a colour overlay as I felt that the natural browns from the photograph were too light, and wouldn’t contrast from the orange of the pans. I have used a dark, red-brown to also feel natural to the pan and the illustration. This I may change as it doesn’t convey the emotions around ‘crazy’ which means it doesn’t fulfil the brief. To make it fulfil the brief I would use more vibrant colours such as a purple overlay. I choose a central composition as within my app icon research they all use a central composition, as this draws attention to the focal point. The composition also looks visually balanced. This is another element I may change and experiment with near the end of completing the illustration, due to seeing how the other elements work together and if it evokes an atmosphere of craziness. Looking at the app icon ‘The Curry Guy – Indian Recipes Resort Marketing’ they have used a wood texture within their background of their illustration. This makes it feel and look of higher quality which I believe helps promote the app and make it more desirable. Within their app icon illustration, it looks as if they have also used the image trace tool to allow there to be high details within the app. This influenced my choice in using the 16 colours preset. I aim to use influences from the app icon ‘Veggie Weekend – Healthy Vegan Vegetarian Recipes Filibaba AB’ as they have created a high-quality illustration of a lemon. I want to use illustrations of different food within my app icon as I feel this will help with the composition but also help fulfil the brief. The quality of my illustration at this point is of high quality, due to the software and tools used. Also the different elements such as the wood vector within the background. Using this has meant that the stylised pan illustration is enhanced in its quality. To improve this illustration I need to look at making the colours pop against each other. This will be done by changing the colour of the wood and adding illustrations of vibrant food. Currently, this illustration fulfils the brief in the area that it has to be suitable for an app icon, but I am still lacking in creating the idea that it is crazy. I will improve on this by adding more elements and adjusting colours. 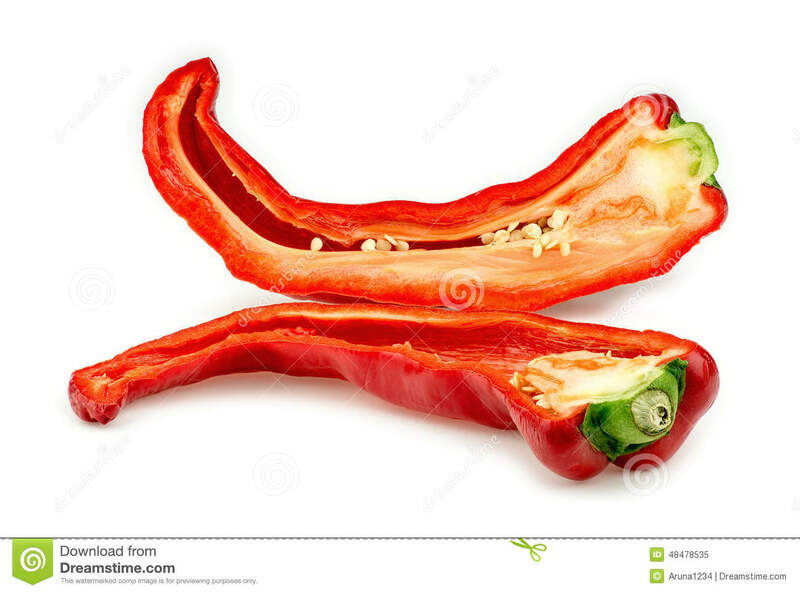 I found a picture of an open chilli online as I wasn’t able to take my own photograph of a chilli, I am using this photograph purely to draw from and use the colour picker tool to collect the colours I need to create my chilli illustration. To create my chilli illustration I began with the oval shape tool to create an oval around the chilli. I then added various anchor points around the oval so I could use the white arrow tool to move the around the outline of the chilli. I then used the scissor tool to cut the access lines. I then converted the lines into a shape, which meant I can use the shape fill function to give it an orange fill and a red outline. I then began using the paintbrush tool to draw in the details of the chilli. I decided to do this as I wanted to give myself a block colour shape to build up the depth within the chilli. I managed to move the lines in shape with the chilli by using the anchor points and manipulating their angles and curves, this has worked successfully in creating a block shape. What hasn’t worked as successfully is how the chilli is coming along, the details within the chilli feel too precise which isn’t allowing me to create an atmosphere of crazy. To overcome this I have decided that I am going to restart the chilli drawing by using the paintbrush tool to draw expressive lines. Julie Notarianni’s magazine spread illustration will influence my chilli drawing style as she has managed to create a vibrant, exciting illustration of chills through her use of line work and colour. I produced this illustration of a chilli by using a combination of the colour picker tool and the paintbrush tool to draw in the details of the chilli. I used the paintbrush tool as I wanted to make the illustration contrast in style from everything else within the app icon. The use of the paintbrush tool also allowed me to create an expressive illustration which conveys the atmosphere of crazy meaning it begins to fulfil the brief. The style of line work has worked successfully while producing this illustration. What perhaps hasn’t worked is being able to create an illustration that is realistic in terms of using shadows to create depth. To overcome this I will add shadows to the background on the wooden image trace, this way making the illustration have depth and dimension. Currently, the colours I have been using are true to the objects, this is because I want to create an app icon that draws people in, and not repulse them which could happen if I were to change the colours of food as certain colours will evoke negative associations such as blues and purples within the food. At this point, I feel that the quality of my illustration is good and is working well with the other elements. I think this due to the software I am using and the effort I am putting into creating the illustrations. To improve the quality of this illustration I need to focus on creating more shadows within the work to create three dimensionalities. Deciding how to compose my app icon is a task which I have found rather struggling as all the illustrations for app icons I have looked at have used a central composition, which visually looks good but for me to fulfil the brief I need to think of an out of the box composition which evokes the idea of crazy.To do this I decided to put my pan illustration in the top left corner. I then moved around the chilli to figure out if it works better on top of the pan lid, or beside the lid. I decided that having the chilli illustration coming off the app icon is the best way forward, as it makes the illustration feel as if it’s a snapshot of a moment in time. I also decided to duplicate the chilli illustration and reflect it to create two halves of the chilli. I have also changed the colour of the wood background by going into edit, and then edit colours and then changed the brown to a purple shade into the colour balance function. I did this as the purple would contrast, but also compliment the reds and oranges within the illustration but also begin to create the idea of craziness. I used the colour balance function as it was the most suitable and the easiest way to preview how my wood background would look in different shades before finalising my colour choice. This was an important creative decision that I have made so far as it has improved the quality of my illustration tremendously. To do this I decided to put my pan illustration in the top left corner, I did this becuase in my research the more expressive illustrations that felt more exciting used a messier composition, with elements not fully aligning to each other. I will carry this on with how I include the food illustrations further. I then moved around the chilli to figure out if it works better on top of the pan lid, or beside the lid. I decided that having the chilli illustration coming off the app icon is the best way forward, as it makes the illustration feel as if it’s a snapshot of a moment in time. I also decided to duplicate the chilli illustration and reflect it to create two halves of the chilli. I have also changed the colour of the wood background by going into edit, and then edit colours and then changed the brown to a purple shade into the colour balance function. I did this as the purple would contrast, but also compliment the reds and oranges within the illustration but also begin to create the idea of craziness. I used the colour balance function as it was the most suitable and the easiest way to preview how my wood background would look in different shades before finalising my colour choice. This was an important creative decision that I have made so far as it has improved the quality of my illustration tremendously. the Ifbags.it illustrations on the home screen has influenced my ideas about composition within the production of this illustration. They have used illustrations surrounding the main focus point. I took the idea of having secondary elements around the focus point to create an interesting design. I will carry on using this influence further into my illustration. The illustrations within my app icon are of high-quality. This is down to the effort I have put in, in learning how to use illustrator and it’s tools and how I have applied them to create realistic but also visually appealing illustrations. To improve the quality of this illustration I will add more elements which incorporate dimension, this to fit in with the pan illustration, but to also help enhance the sense that the app icon is a real situation. Currently, the app icon illustration would fulfil the brief as it would function as an app icon, is of high-quality and is beginning to incorporate the idea of craziness. To help improve the illustration to make it fully fulfil the brief I will add more elements of food, which are vibrant in contrasting colours, like greens. The addition of more colour will in theory help make the illustration evoke a crazy atmosphere. I found a photograph online which represents a messy food scene, so the imagery I used in my illustrations fit in well with my current app icon. I am going to use this photograph to draw my illustrations from. I wasn’t able to take a photograph like this as when the idea of including ingredients like avocados and limes came to me, I wasn’t in a position to be able to create the scene for the photograph. To create my avocado half I took the same steps that I used to create the base of my original chilli illustration, by using the shape tool and then anchor points to move lines around to fit the photograph. I then used the gradient mesh tool to create the dark areas within the avocado half. To make the oval indent within the avocado I had to pay close attention to how I shade it as I don’t want to make the dimensions be standing out of the avocado. I found this rather tricky but managed to figure out how to create this effect with a lot of effort and patience being put in. I used layer styles with overlays to adjust the colours within my avocado. To finalise the avocado illustration I copied the original shape of the avocado and used the shape fill and outline colour picker tool to change it to one shade of brown. I decided to go for a gradual gradient effect within this illustration as I wanted it to compliment the pan illustration, but also felt it was a suitable process in creating a semi-realistic illustration. I think this worked successfully and put into my app icon will help elevate its quality. Looking at Jing Zhang Recipe (5 classic dishes) illustration of high-quality shading to create realistic illustrations influenced the production of the avocado illustration. I decided to go for a realistic style illustration over the expressive style within my chilli illustration as the differences in textures and styles in my app icon will look visually interesting. Jing Zhang has also used different textures within their illustration, which I felt worked extremely successfully. Currently, my illustration’s quality is good with elements looking realistic, like photographs, from an app icon size. on a large scale my illustrations aren’t of as high quality but in this case, this isn’t an area I am worried about as this illustration is an app and not something like a billboard where the quality can be easily picked up on a judged. I can still improve the quality of my illustration by when I select the gradient mesh tool function making the number of grids and cross points high will give me more control over how the colours blend into each other. I have created the avocado seed by using the oval shape tool and creating a small oval shape which I then used the gradient mesh tool to add highlights and shadows. The seed didn’t need much work to create as it is a simple part of the illustration. I am now focusing in on how to compose my illustration. I am finding the use of having the food illustrations coming off the app icon rather successful and will carry on using this composition. Currently, the illustration feels as if it’s lacking another element so I will do one more illustration which helps convey the ideas of crazy cooking, this will be done through colour and line work. I decided to use the limes from the photograph to draw. I used the paintbrush tool and create expressive illustrations of the lime segments. They used various shades and vibrancy of greens and yellows this helping contrast from the purples and oranges within my illustration. The style of the limes as well helps evoke the idea of crazy cooking. I used the paintbrush tool to create the illustration as it is the most suitable tool to create the line work I needed. The style of the limes and the chillis are working successfully together, within my illustration but also to contrast from the clean edge illustration of the pan and avocados. I decided that a difference in styles will help make my illustration more successful, and allow it to fulfil the brief successfully. The only issue I am facing in this illustration currently is how to compose the elements together, in a way that looks good, is visually interesting and fulfils the brief. I am overcoming these issues by seeing how the illustration looks in various compositions. The colours I have used within my illustration are working successfully in evoking craziness. This is due to the use of various colour combinations of; bold and bright, clashing colours, and colours that compliment each other. I have created all the illustrations I need to compose my app icon. I have duplicated the illustrations so I can create this random assortment of food. I then manipulated the colour balance within some of my illustrations to make them either more vibrant or hue a different tone. This was done to make the illustrations not feel like copies of each other. I also resized some of the illustrations using the shift tool on the keypad to keep their proportions. I am going to separate some of the illustrations from each other and put them around the pan lid illustration. This has been done to randomise the layout of the app icon and allowing me to evoke this crazy atmosphere. I also changed the opacity of the purple overlay to have areas of the wood come through more, this was done to make more interest within the app icon. But to also add depth, as the areas which aren’t as purple come across as shadows. The quality of my illustration is extremely successful. This has been created through the effort I have put into my illustrations to make them as visually appealing as possible, but to also compliment each other. This illustration fulfils the brief as it works as an app icon, uses only illustartor meaning the quality is good, and evokes craziness.